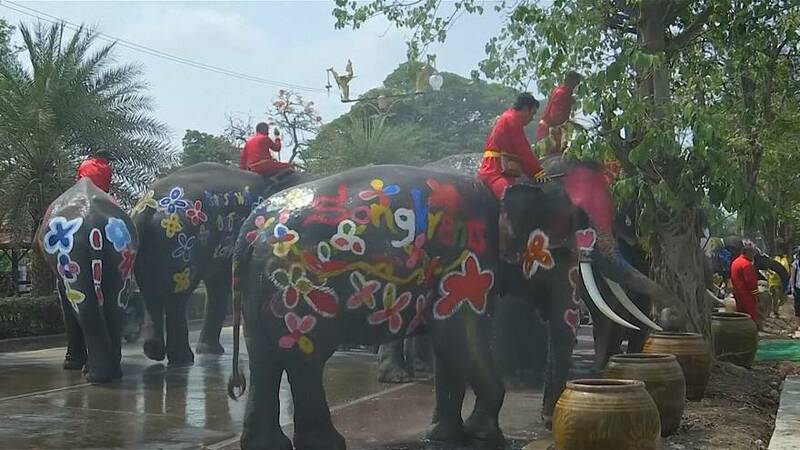 Colourfully-painted elephants sprayed locals and tourists with water during celebrations for the Thai New Year on Thursday. The animals showed no mercy as they slurped up water and sprayed children and adults alike to help them cool off. It is part of the Songkran festival, referred to as the world's biggest water fight, that marks new year celebrations in Thailand. Songkran is also widely celebrated in other south-east Asian countries, such as Myanmar, Laos and Cambodia.